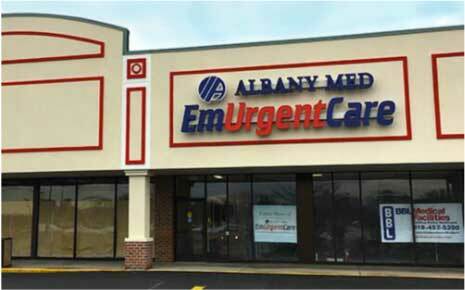 The Albany Med EmUrgentCare Clinic will hold its grand opening on Sunday, April 1st at their new location in Rotterdam, NY. They have leased 5,052 SF of inline space within the plaza and this will be their ninth location in the Capital District. They will join retailers including Hannaford Supermarket, Citi Trends, Rent A Center, Fallas, Game Stop, Sally Beauty, Dollar Tree, Fantastic Sams, One Main Financial, and H&R Block. Peter Struzzi and Jeffrey D’Amore of Cushman & Wakefield | Pyramid Brokerage Company facilitated the lease on behalf of the landlord and are the exclusive agents for the 212,595 SF neighborhood shopping plaza.